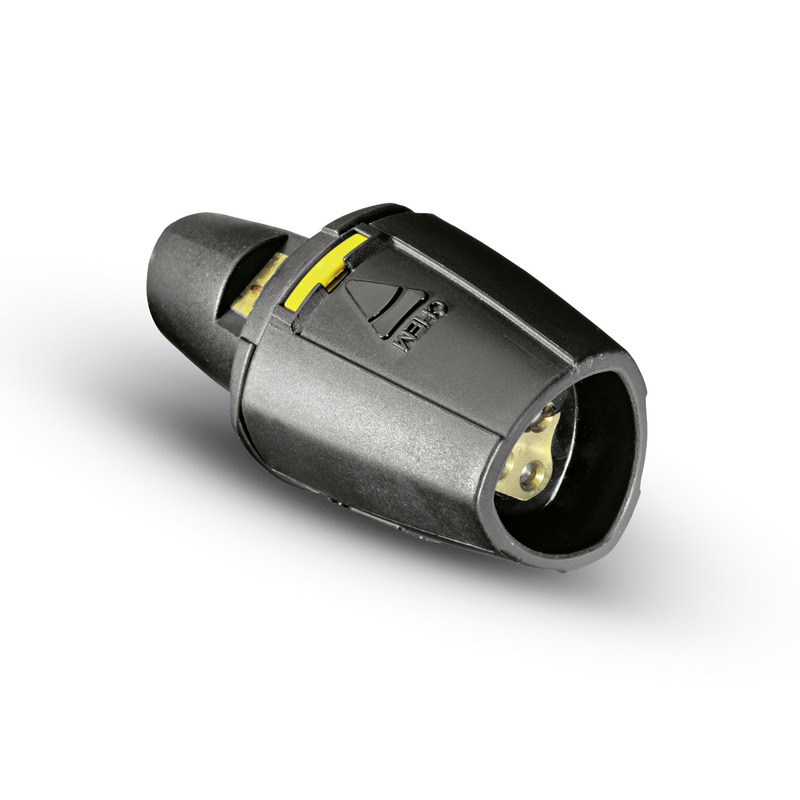 Triple nozzle, Touchless (touchless changeover) 47670670 https://www.kaercher.com/ae/accessory/triple-nozzle-touchless-touchless-changeover-47670670.html Fast and easy jet changeover by rotating the nozzle. Selection between high-pressure point stream, high-pressure flat stream (25°) with power nozzle contour, manual changeover to low-pressure flat stream (40°). For machines with injectors, the low-pressure flat stream is used for cleaning agent removal and application. M18 x 1.5 connection. Practical triple nozzle with different jets designed for quick and easy changeover by turning the nozzle. The following jets are available: High-pressure pencil jet, high-pressure fan jet (25°) with power nozzle and low-pressure fan jet (40°; manual adjustment). For high-pressure cleaners with injectors; low-pressure fan jet for detergent removal and application. 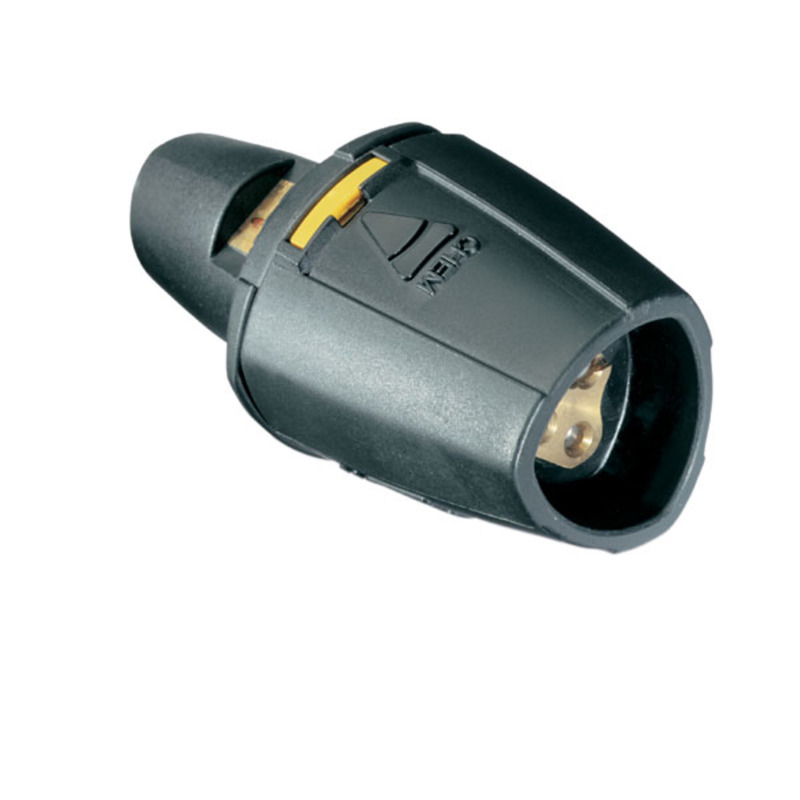 Connector: M18 x 1.5.